Brace yourselves as I’m in new territory here as far as post writing is concerned. Two reasons: yesterday I finished a book which is relevant, and unbelievably, I’ve just done seven minutes of research. The book: Art of Learning. This is about an American fella called Josh Waitzkin. From being a chess prodigy, he quit the game at twenty three, took up a form of Tai Chi, and went on to become world champion. It is a highly illuminating and in depth analysis of the competitive psyche, and I recommend it. While reading, it made me think about Mesut Ozil. Waitzkin talks about the fine margins that define the difference between competitors at the very highest levels of any discipline/sport. Part of that difference is the recognition that you cannot operate at peak performance at all times, and true champions know how to operate at a higher level for most of the time and elevate to peak level for short but decisive moments. This is Mesut Ozil. Now the research bit. This morning I googled the Low German World Cup team formations and then did ditto for the Unai PSG sides, as I wanted to understand how and where Mesut was likely to fit in. For Germany Mesut plays central of a three behind a lone striker. These three operate in front of the rock steady pair of Khedira and Kroos. Next up, Unai’s PSG. Here we see a temptation to play a deeper anchor midfielder with two in front. Can’t do this as you end up with the awful box to box headless chicken runners stuff. Happily, many google images of the Emery PSG line ups show the more Germanic set up with the two, which of course, is what any sensible manager would do to optimise The Mesut Ozil. 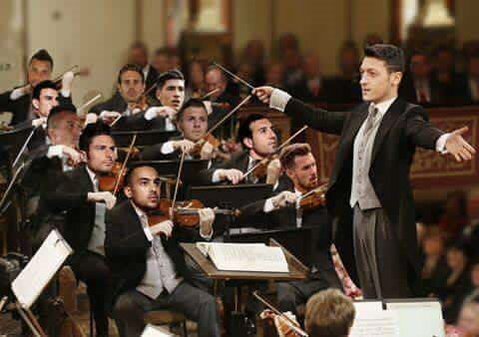 Arsene understood that creative genius is an essential component to the art of football, and even the more pragmatic Germans realise that a Mozart needs someone to build the concert hall. This entry was posted on Monday, June 4th, 2018 at 6:41 am and is filed under Uncategorized. You can follow any responses to this entry through the RSS 2.0 feed. You can leave a response, or trackback from your own site. Two great images there Chas, thanks. Superb entertainment this morning boys, both the post and the pics. Horses for courses … we do not have the personnel to ape the German style. What we have is superb creative attacking players. Play Mesut in a central role and there is no place for the excellent Mhki, as we have Laca and PEA upfront. 2 DM’s? Where does Ramsey fit in or JW or Iwobi? Let us assume M-N can be used in this role alongside Xhaka, it could work but I do not think this is the best use of our players. I want all out attack. Forget defending. Let the new coach develop a defensive shield using his tactical genius and then allow the rest of the team to give it the beans. As usual this tactics/team formation lark goes well over my head but I’m sure it all makes perfect sense to GoonerB. “Storm the Bridge”? — yeah … you, and whose army? Actually, Micky, (and good morning to you, and all breakfasteers) I did not pick up in the Post which Bridge you were going to storm — the one over stormy waters; Stamford; the bridge of Unai’s snitch? I guess it’s another of those incidental bits and pieces that you are somewhat cavalier about — but you owe it to us to reveal all. You have usually struck me as a sober, thinking man’s blogger, but this comment caught my eye – “I want all out attack. Forget defending”, and I thought to myself, has our stoic Randy flipped his lid? Has the recent history of the Arsenal blown his gasket? Has he succumbed to the devil-may-care, to-hell-with-it, attitude of the Mickish overwhelmed him at last? We finished 400 points behind City last season – OK, I gave up counting or caring about the exact number – so Micky has got to me too — by playing all out attacking football, and no defence, over the last 12 years, or so, have been dire in truth — and Erik the Viking still wants to continue playing the same not too good football. Wow .. brilliant work Micky. I am with Raddy, I think Unai will certainly at first have to work to get the best out of the players he’s got and that may mean we can’t use Ozil in his most effective position …. but hopefully when we start recruiting it will be with a specific formation and style of play in mind. Özil, Aubameyang & Lacazette in a fluid forward trio. Xhaka supported by Mkhitaryan (in “the Cazorla role”) & Ramsey on either side of him in midfield. A balanced mix of creators and scorers. Given our squad, I would say that the latter is more suited. I am quite certain that Emery will play Auba and Laca together. Emery also likes his full-backs to be attacking so you can foresee Bellerin and Koli to start. For the DM, we will get a recruit OR play Wilshere there. If you want Ozil in the squad, you bench Laca and put Auba forward. RA. Do you really think we can overcome the Northern Oilers or Merino’s multi-million Allstars? I think Emery will set up Arsenal like Sevilla and Sevilla was set up in a sort of 4-2-3-1 but it was really modular as the one of the wingers played deeper and the 10 played high up the pitch so almost like a 4-4-1-1 or 4-3-2-1 depending on the phase. I guarantee we are going to buy a winger on top of a CB and DM. The rumour today is that we want to sign Fellaini …. not sure how I feel about that? Let us aim for Europa League victory and Top 4 along with a national Cup. If we get 4 players (RB, CB, DM and FW) and we get rid of deadwood (can we please have a post on who to sell and on whom to keep? ), we will be in a strong position to compete for the Europa League, Top 4 finish and Cup. Is there space for Jenkinson, Mustafi, Campbell, Perez, Iwobi, Akpom? 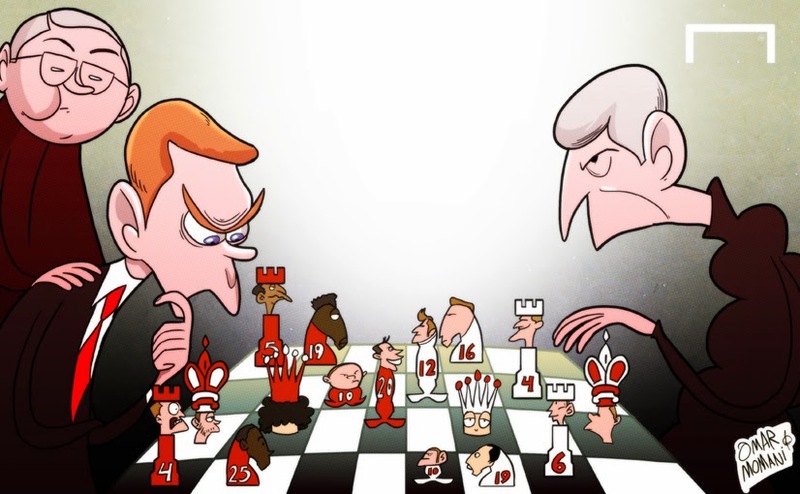 Oh bloody cosmic, leave you lot alone for one day with the simplest of tactical and selection strategies all nicely laid out for you, and what happens…..
bloody shoehorns and crowbars everywhere as you try to lever in all your favourite players. Sure, why not, let’s play Auba on the left with Mesut right back so that we can squeeze Ramsey and Jack in. — Arsenal have made a surprise move to try to sign Marouane Fellaini and will hold talks with the midfielder on Wednesday. Fellaini is out of contract at Manchester United at the end of the month and has been allowed to negotiate with other English clubs since Friday. The 30-year-old also has an offer to move to AC Milan and a one-year contract to stay at Old Trafford. Arsenal would probably offer the Belgium midfielder a minimum two-year contract and might be seen as favourites for his signature at present. Unai Emery, the Arsenal head coach, attempted to sign Fellaini while he was in charge of Paris Saint-Germain earlier this season and has already spoken to the former Everton player since taking charge at the Emirates. The interest in Fellaini further indicates how Arsenal’s transfer policy has changed since Arsène Wenger left the club. The Frenchman preferred young players that he could nurture and potentially sell on and rarely signed players older than 30. Arsenal have been trying to sign experience older players who could also be leaders. The club have been in talks to sign Sokratis Papastathopoulos, 29, and Stephan Lichtsteiner, also a defender who is five years older. Papastathopoulos has a year left on his contract at Borussia Dortmund and would reportedly cost Arsenal around £16 million. Lichtsteiner is out of contract at Juventus this month. Are we setting up an Old Folks’ Home for Ageing Footballers?? And here’s another thing. I had no idea that Tony Cascarino and I had anything in common, but here’s his story — and it helps to explain the problem I am experiencing. Seeing a giant (as others call me) suddenly and inexplicably toppling into other people at parties, (he must be drunk — actually not so – I do not drink alcohol) — or into furniture, or while having a shower, (and so far not breaking any bones) probably sounds funny, and I suppose for others it is, but the unexpectedness of it is not much fun for the victim, (in this case, me) and this all happening after a protracted period of ‘ear problems’ which sounds like a continuous screaming steam pressure blast in my left ear – which turns out to be not in my ear, but in my brain is not funny at all to me. Tony has made me ‘come out’ with something that is scary, and completely weird — so if there is anyone else out there with this problem, go tell a doctor! –” I woke up one morning about 18 months ago and was conscious of a hissing noise; shhhhhhhhhhh, inside my left ear, like the distant sound of waves in a seashell. I suddenly realised that I’d been aware of it for a while and never quite recognised it. It was tinnitus, I knew that, but I also knew it didn’t hurt, so I did what blokes like me tend to do, the thing our dads and granddads did: I ignored it. Other things were locked away, too. I could taste nothing aside from metal in the left side of my mouth, maybe something to do with my fillings, I thought. So I chewed on the right and that was better. Then there were the headaches. There was one over Christmas, which I put down to wine, but it started bad and stayed bad. I was taking too much paracetamol, too much ibuprofen. I had a tingling on my tongue, my left cheek. When I put the words down, there was obviously a pattern, but not when you block it out, when you have the feeling something isn’t quite right, but you can’t, or refuse, to put your finger on it. Jo, my partner, kept telling me I was going deaf; I’d answer questions she hadn’t asked, have a go at her for things she didn’t say. It was very frustrating, for both of us, but she has suffered most. I’m being brutally honest here. I had mood swings. I’d feel down. If I was around a group of people talking, I’d find it hard to hear. Occasionally, I’d find myself searching for the right word, which isn’t great for a radio presenter. My balance was affected, as well. Putting one foot in front of the other, I felt a bit unstable, enough to be unsure of myself. Not too long ago, I fell down the stairs. Jo repeatedly told me to get checked out, but she could hardly force me, could she? She told me about Debbie, her sister, who had endured some of the same symptoms and, it turned out, had a brain tumour, but I put it on hold. And then at the turn of 2018, a year after first noticing the shhhhhh in my ear, I went to the doctor and just blurted it out; the deafness, the tinnitus, the headaches, this taste in my mouth, the tingling. I was sent for an MRI scan and waited for the results. From the start, I was told it was probably an acoustic neuroma, the same as Debbie had, a benign tumour that can be very small and grow very slowly. You can have them for years without knowing it. Mine is about the size of a golf ball, which is alarming when you think about it, but the benign bit was a huge weight off my shoulders and in that respect, I’m very lucky. Why am I writing about this? Logistics, firstly. After the World Cup, I’ll be having surgery and my rehabilitation could last for a couple of months, so I’ll be disappearing for a while. The second reason is far more important. My roles with The Times and talkSPORT give me a platform to say: please, don’t be like me. In similar circumstances, get yourself checked. I understand now that I left it too long and the longer you leave anything, the bigger the risk. I’ve never been very good at worrying. I can fixate on trivialities, but if you tell me about something really big — and it doesn’t get much bigger than major skull surgery, a 12-hour operation which only two people in the country can perform, apparently — then I’ll say ‘Well, I can’t do anything about that, can I?” The thing with this is that I could have done something, even if I’ll never know how much difference it would have made. The scariest part was sitting in a little office with the consultant as he ran through a bleak list of things that can go wrong. They have to do that, I guess. I’m going to completely lose the hearing on my left side, but there’s a possibility my speech will be slurred, too. Not great for the radio. The side of my face could be affected. There’s a 1 per cent chance I won’t get through the surgery. It sounds tiny, but it isn’t really. Hope none of you AA bloggers ever get it! Have you had the tumor removed RA? Then, how can we cheer you up, as I’m not convinced the Fellaini stories are going to help you? Dear RA – sorry to hear about this. I hope that all will go well and that you will recover 100%. RA. That is horrible. Best wishes. Who’s in this year’s final, Micky? The 2018 World Cup winners will be ____. You’re the one that said it was easy, so remember, not only did I say which two teams made the final but who won. I don’t even know who’s in it. Or who is in England’s group. Judge: Mr Guardiola, have you ever signed and played a black footballer, showed them any respect whatsoever, or even given them the captain’s armband? Morning all, I’ve just gone back through the comments and read RAs disturbing news. Best wishes for a full and speedy recovery RA, keep us all informed of progress. He talked about African, not black footballers micky, big difference. Mark my word – Pogba could be benched at the World Cup by Deschamps! He would lose his spot to Corentin Tolisso from Bayern Munich. Tolisso brings stability and great passing BUT he cannot dribble or shoot from long range. In 2020 and 2022, France will be a heavy favourite to win because players like Mbappe will be 23 same for Dembele. The squad is rather young so we will be a true force in 2-4 years. For now, team is still learning although our Euro was good. RA. I’ve been in post/pre season hibernation for a while so I have only just read your post and the disturbing diagnosis. I wish you the very best of good fortune, and surgeons, and sincerely hope that you have the maximum recovery possible. Sokratis in London ahead of proposed move for medical. Looks like a solid/experienced addition and is sure to improve our defense. Arsenal have announced the signing of former Juventus defender Stephan Lichtsteiner. The Switzerland international is currently a free agent, but the deal is subject to the completion of regulatory processes. The 34-year-old was out of contract at the Serie A champions and joins the Gunners ahead of captaining Switzerland at the World Cup. In a statement on his official Twitter page, Lichtsteiner said: “Happy and honoured to be a Gunner! He becomes the first signing since Unai Emery’s appointment as head coach and will wear the number 12 shirt. Lichtsteiner has made over 250 appearances for Juventus and is the fourth-most capped player in Switzerland history with 99 appearances for his country. I used to have respect for Yaya but after his tantrum about his birthday gift and now this, the man has plummeted in my estimation. Yaya isn’t rated by his manager and then plays the race card. I don’t understand the cartoon 5.55. 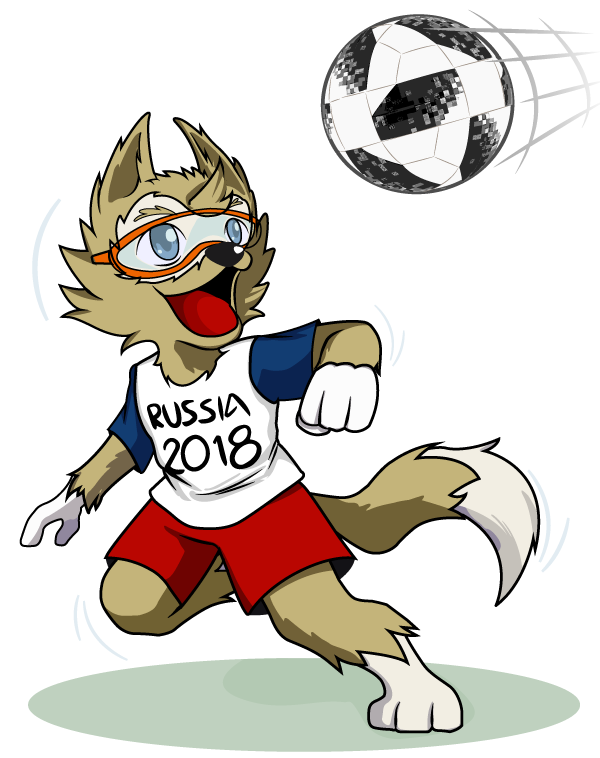 What has a chipmunk in glasses to do with the Russian WC?